Are you happy with the level of service you’re currently receiving from your property manager? We aim to continually refine our services by maintaining a grass roots ‘boutique’ property management team, a philosophy where quality outweighs quantity and where world-class customer service is tailored to the needs of the client. We are committed to developing an open and honest relationship with our clients. We strive to deliver the highest standard of service by ensuring our property management team is always available for professional and un-biased advice in relation to your investment property. The process of selecting the best possible tenant for your property provides the greatest protection of your asset. Our team diligently checks each application we receive on your property. This includes acquiring information from previous landlords, agents, current and past employers, as well as personal and professional reference checks. In addition, a search is carried out through the National Tenancy Database to ensure there is no history of bankruptcy or bad tenancies. Only after these checks have been made will a potential tenant be presented to you, the owner. When you appoint Changing Places as your managing agent, you can rest assured knowing our property management team is also trained in sales and negotiation. This ensures the highest possible rental price is achieved in any market. It’s no coincidence that we consistently achieve higher rents than similar advertised properties in the same developments. Rents are reviewed annually, taking into account any market fluctuations and improvements made in review. Routine inspections are conducted regularly in accordance with the Act (Residential Tenancy Act 1997) to ensure the tenancy is running smoothly and to safeguard your financial interests. 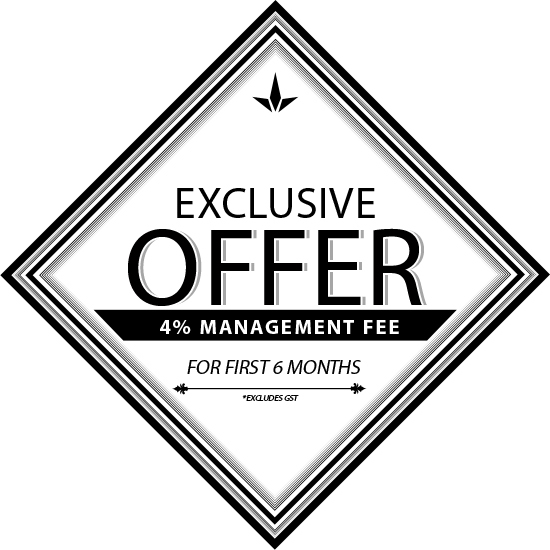 For the first six months we will manage your property at a heavily reduced rate of 4% plus GST, providing you time to believe in us as much as we believe in ourselves. All without having to pay full price to find out how dedicated and passionate about property we truly are. We don’t tie you into anything If you’re not happy, we are definitely not happy You are free to take your business where you want when you want.